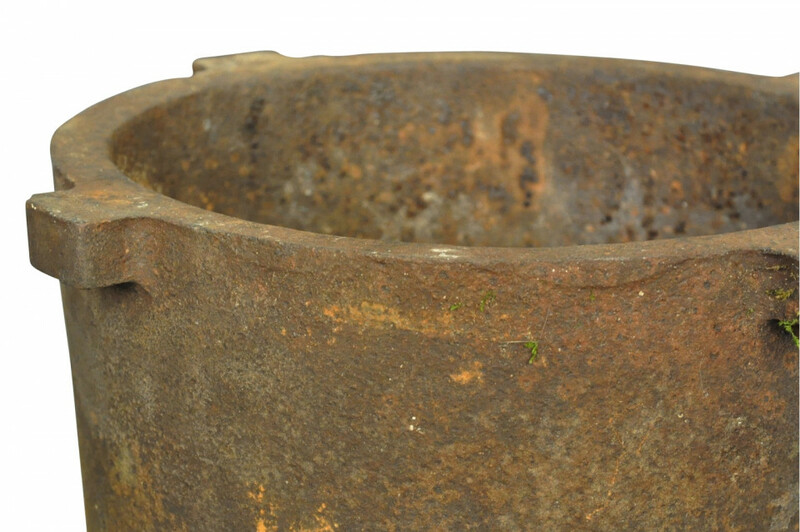 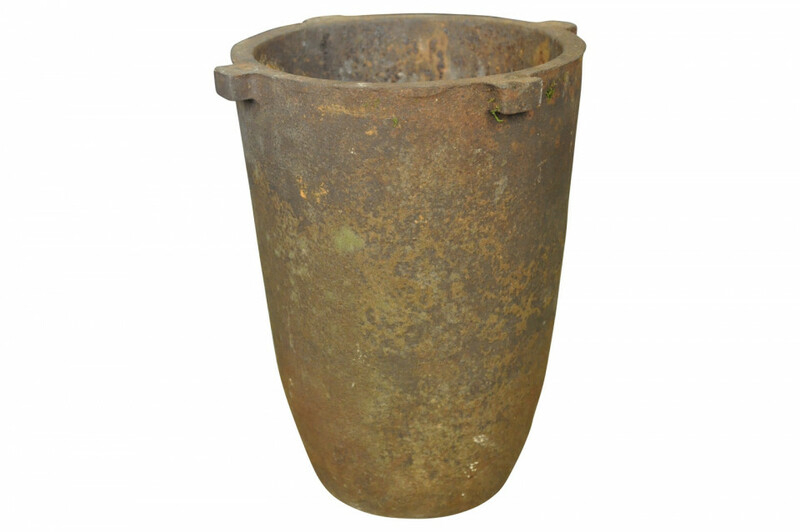 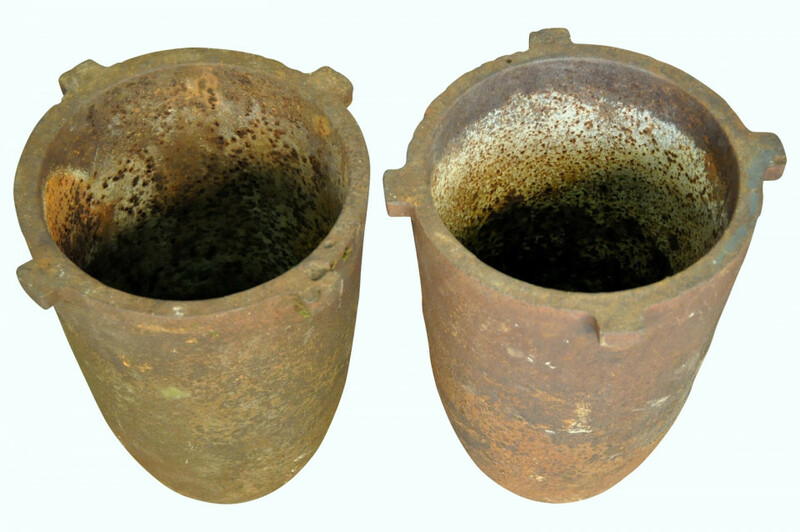 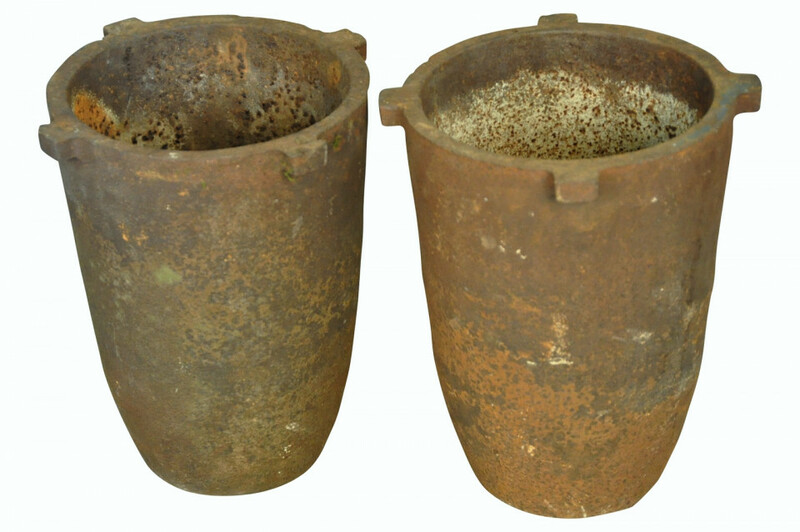 A wonderful pair of later 19th century French Creusets - Foundry Pots in cast iron. 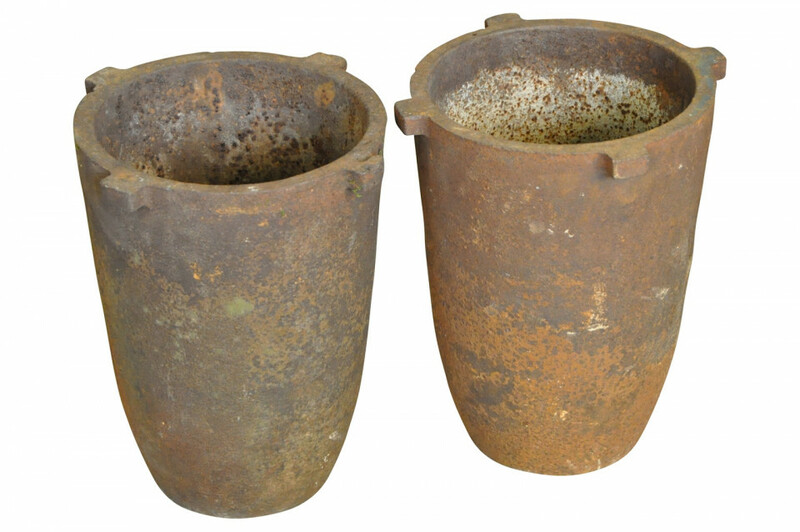 Perfect jardinieres or planters or even bases for end tables. 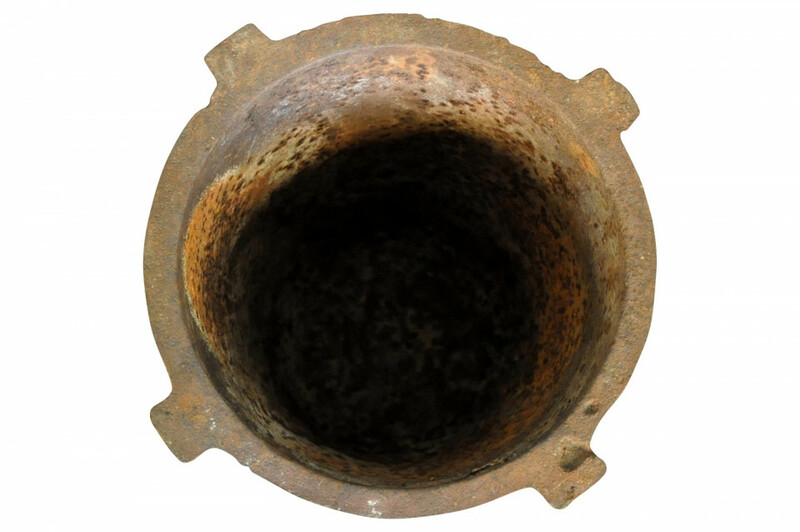 Height 15 1/2" Length 13" Depth 13"